In the Two of Pentacles we meet the young ambitious man who seized the Pentacle in the Ace and is now doing everything he can to make it work for him. 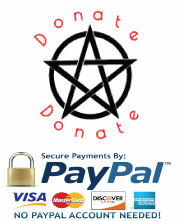 He has a long-term goal for his Pentacle and he accepts that he will have to work hard to get achieve it. It is hard work for sure. 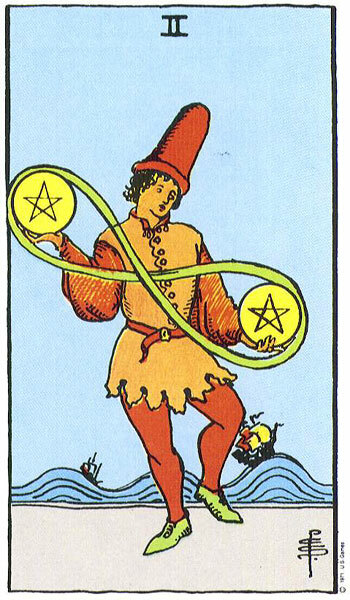 As we enter the scene we see him hop from foot to foot while he juggles two Pentacles. One Pentacle is higher than the other and surrounding them is a figure of eight loop, the infinity symbol which is also known as the Lemniscate. This represents the endless flow of energy. All energy is recycled whether it is good or bad for energy is simply energy and cannot be destroyed. What goes around comes around and the cycle continues on and on forever. It is how we use energy that is important. Money is also an energy and as we all know, what comes into one hand has a habit of going out in the other rather quickly. It is the same money going around and around, being passed from one person to another in exchange for goods or services. Unless this cycle is maintained then commerce and trade will collapse. In order to make money we often have to spend it first. Energy begets Energy and Money begets more Money. It is a well-known fact that those who have a lot of money can easily make more. However, sometimes it is a small investment that gets the ball rolling and creates momentum in the cycle. This man may have started with just One Pentacle but he knows that if he invests or uses it wisely he can make it double if not more. For those who have a lot of money to invest, they can sit back and watch their money grow without making too many personal sacrifices. It is not the same for this man. He had just one Pentacle to start with and the clothes he stood up in. He knows what he wants of his Pentacle but he is taking a big risk. If he gets this wrong, he has lost everything and has nothing to fall back on, but should he succeed then the sky is the limit and he will be a very happy and financially successful man. So, here we see him trying to make his Pentacle work for him. It looks like he has already had some success with it as he now has two, but it does seem to be taking its toll on him. He looks down at the lower Pentacle which represents the money that is going out. His face looks tense and strained. He has a lot of financial decisions to make and no matter how hard he tries to hold onto money he seems to be spending more than he is earning. As he hops from foot to foot we can see that it is all a bit of a juggle at the moment. The man’s brown over-garments and green shoes symbolise his connection with the Element of Earth. His red under-garments stand for the passion and energy he is putting into controlling his finances. In the background we see ships with their cargo ride out the high tides suggesting trade and commerce. He needs those ships to dock safely or to reach their intended destination on time and in one piece for they may contain goods he has ordered or stock for his customers. His cash-flow may be stretched to the limit at the moment and he may be walking a bit of a tightrope financially. He is worried that there may not be enough money or indeed enough of him (Pentacles also represent the physical body) to go around. He needs to keep those Pentacles in the air and moving. It is all a bit of a gamble really and as Pentacles do not like to take risks, this will be a very difficult time for him. He may indeed have cash-flow problems but with a bit of hard work and effort he can keep afloat. The clear blue skies in the background suggest that the situation is not very serious. If he was to look out to sea he could see for himself that although his ships sail upon rough seas they are quite able to manage the Ups and Downs of the huge waves. This is only a temporary stage but the man doesn’t seem to have the time to properly evaluate the situation for what it is. He is being kept on his toes and with the many demands in his life. In the Two of Pentacles this man learns how to multi task and how to adapt to anything that is thrown at him. It is giving him valuable tools for the future. Like the ups and downs he will experience in life he realises that money is no different. 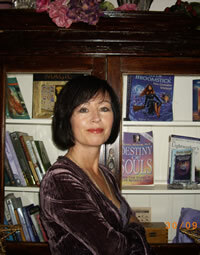 There will be times when it flows smoothly and times when it appears to dry up altogether. If things are tight at the moment he must make the necessary cut-backs here and there to balance things out and keep it moving. However, not everyone is good at achieving this. 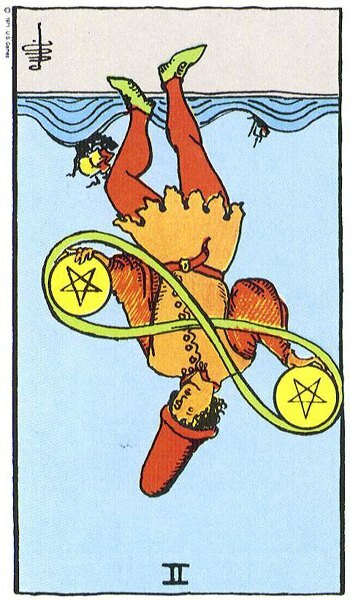 The man in the Two of Pentacles needs to find balance and moderation in his life too. All work and no play made Jack a dull boy. If he allows no time for relaxation or fun, he is liable to become tired and tense and he may find his mood fluctuates like the waves behind him, up one day and down the next. When we next visit the Pentacles in Card 3 we will find out if this man has managed to survive his financial struggle. Will he be ‘down and out’ or ‘up and coming’?